Barcelos is the name of a small town in Portugal. Legend has it that a pilgrim sentenced to death in that quiet town was saved by a roasted rooster coming back to life. The restaurant chain aptly has a rooster as their logo. 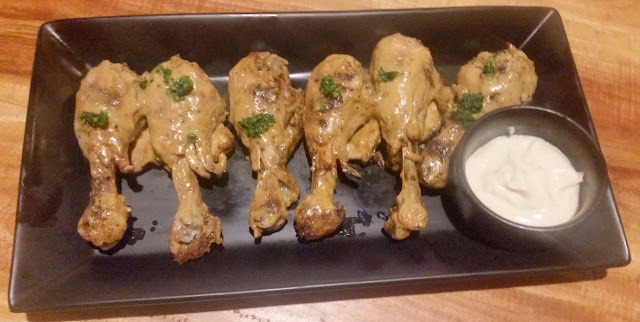 The signature dish of the restaurant is their spicy Flame Grilled Chicken. 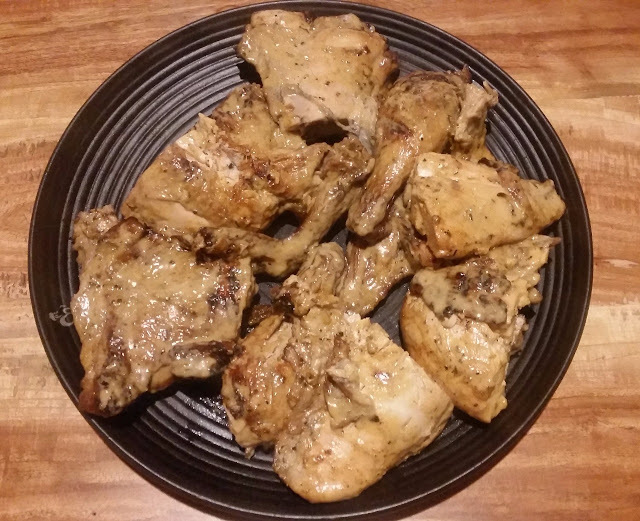 Chicken is marinated in their secret recipe sauces and grilled to perfection. 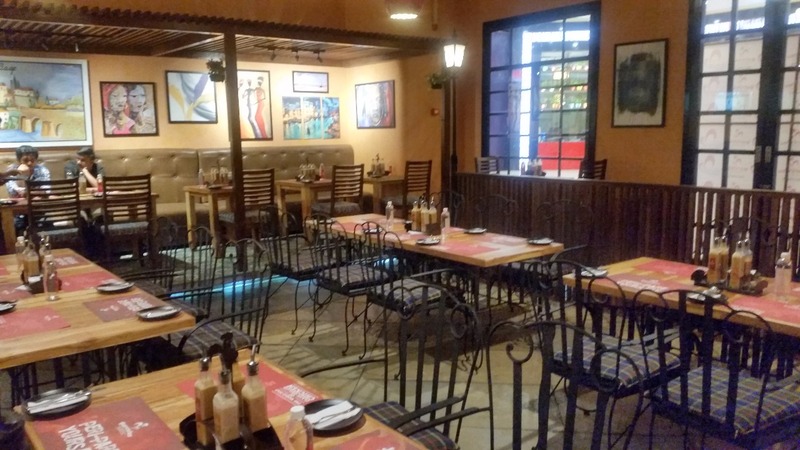 The restaurant has four types of peri peri sauce – Mild Peri, Veri Peri, Super Peri and Tangy Lemon. Most of the dishes served to us on a preview were prepared in very peri, keeping the spicy Hyderabadi palate in mind. I however, would plump for the super peri, the extremely spicy sauce which Hyderabadis would love, as well as the tangy lemon which is different. The peri peri sauces are made from South African Bird’s Eye chillies, though the first two levels may be inadequate for firebrand Hyderabadis. 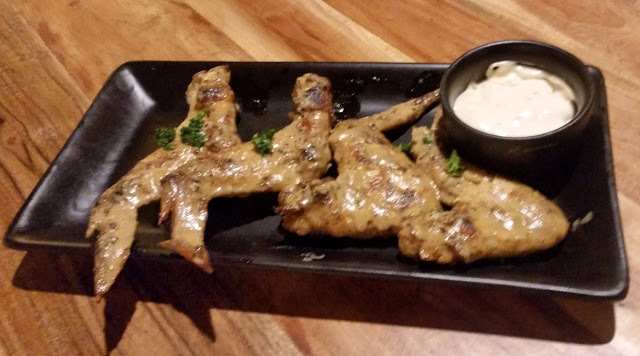 Apart from the flame grilled chicken (referred to as Peri Peri Chicken even by the waiters), we also tried out their Chicken Wings and Chicken Drumsticks. A set of Potato Wedges and French Fries were served as sides to go along with them. 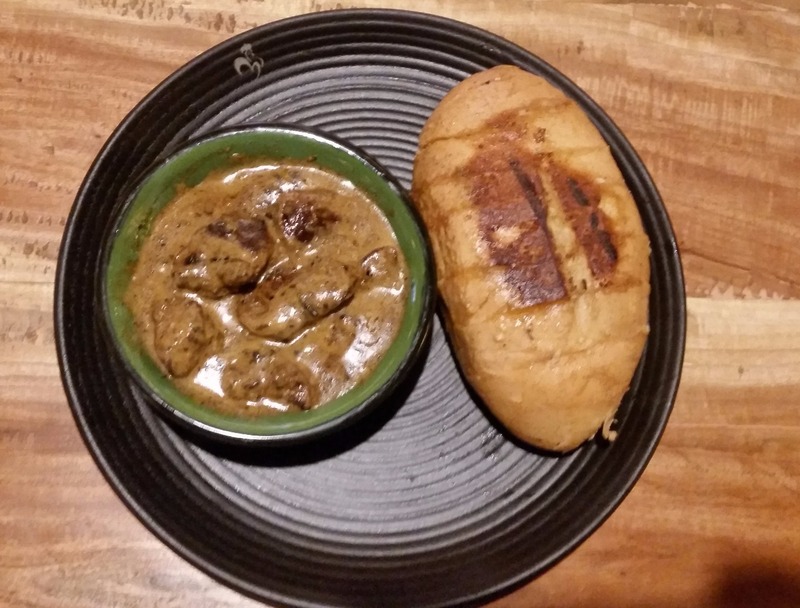 One dish here which should do well is Chicken Liver with Port Roll, where liver cooked in peri peri based gravy is served with a bread roll. If you are going to this restaurant for a quick bite, this is a dish apart from the flame grilled chicken that I would suggest ordering. 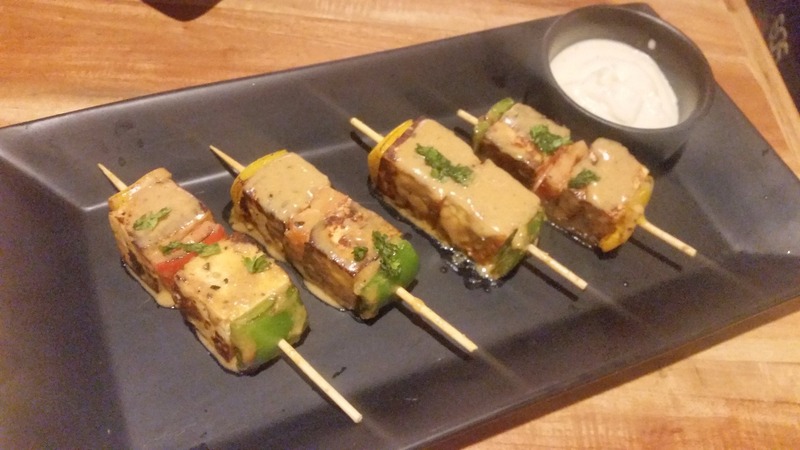 I took fancy to a vegetarian offering called Broccoli and Pineapple Kabab, where the contrasting flavours made their mark. Peri Peri Paneer Kabab is another dish which may catch the attention of vegetarian customers. 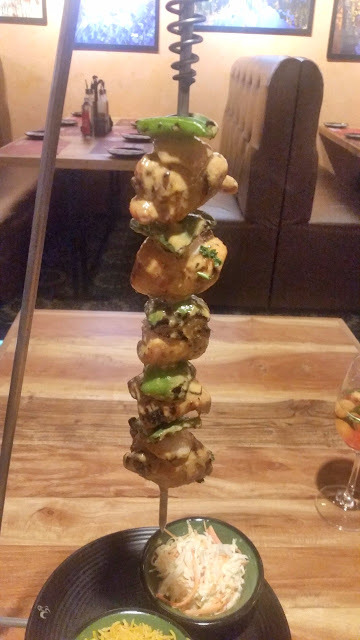 The restaurant is also serving Espetadas – again a Portuguese dish where chunks of marinated chicken are grilled and served on a skewer along with bell pepper and onions. Two versions were served – the usual chicken, as well as the Cheesy Chicken Espetada, where the addition of cheese provided a variation in taste. The espetadas are styled well and presented on the skewers right on your table along with some flavoured rice and salad. It can be a meal by itself. 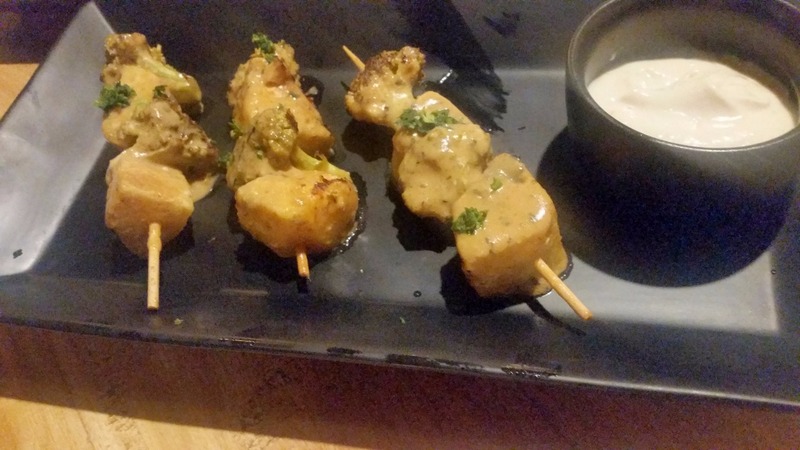 Though the quality of chicken in all the dishes was adequate, and the taste was decent, it was getting a bit monotonous with the same set of sauces. At this point, Barcelos presented their next well-known dish – the Black Beauty Burger. The black coloured bun was almost like a brownie in texture, and a dessert averse person like me was slightly worried. However on tasting all my apprehensions were laid to rest, and the thick burger was definitely worth a try. They also have burgers in other different colours, such as red and white. They have also a combo of mini burgers, where four small sized burgers in different colours are served in both veg and non-veg versions. Coming to the drinks, Barcelos is known for their Sangria – in fact, there are more than twenty different versions of this drink based on red and white wine. We tasted close to ten variants - the colourful Pomegranate Berries and Grape Sangria was one that I liked most. 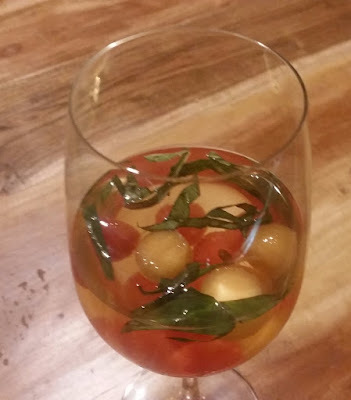 The Melon Sangria and 5-Ingredient Sangria were among the others to make a mark. They also have quite a collection of Portuguese cocktails and mocktails on the menu as well. Hyderabad had been missing peri peri chicken so far, and that itself may be the first reason to visit Barcelos. But apart from this, their sangrias and burgers may make you go back there.